Two years ago, it became mandatory for paramedics in B.C. to wear the monitors while on shift. 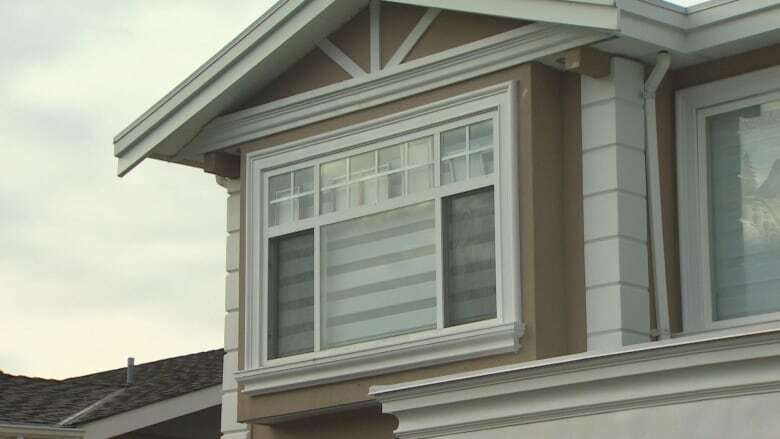 The devices are credited with potentially saving at least three lives at a family home in Vancouver on Tuesday night — and, experts say, likely many more lives in recent years. They're about the size of a deck of cards, usually mustard yellow against a B.C. paramedic's deep blue uniform. They vibrate and ring when they sense dangerously high levels of carbon monoxide in the air. 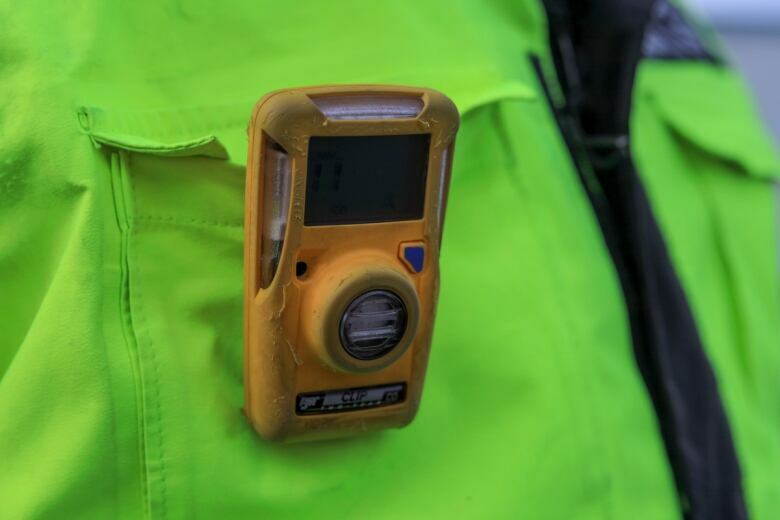 Crucially, the wearable monitors detect the colourless, odourless gas when the paramedics carrying them do not. "They're really worth their weight in gold," said Rob MacMillan, a paramedic with 29 years' experience. Two years ago, it became mandatory for paramedics in B.C. to wear the monitors while on shift. The devices are credited with potentially saving at least three lives at a family home in Vancouver's Killarney neighbourhood on Tuesday night — and, experts say, likely many more in recent years. Paramedics were called to the Tyne Street home for someone feeling pain in their chest around 11:30 p.m. PT Tuesday. When the first responders stepped in the house, their carbon monoxide monitors went crazy. The home was quickly evacuated and three people — including two children — were taken to hospital for carbon monoxide poisoning. MacMillan said the scenario is all too common: paramedics dispatched for a certain call, only to walk into a carbon monoxide situation. In the past, paramedics would have to discern what was happening on their own or wait for firefighters to arrive with their detectors. Nowadays, paramedics figure out the reality of the call almost immediately. "How many were we affected by prior to these detectors being on us? We have no idea. Sometimes, we delivered patients and we wouldn't hear back what the cause [of the illness] was," said MacMillan. B.C. Emergency Health Services (BCEHS) invested in the devices after many close calls with paramedics, but MacMillan said the real catalyst was a call that landed two paramedics in the hyperbaric chamber at Vancouver General Hospital (VGH) about two years ago. They, too, had been called to a family home by someone feeling ill. Only by their own intuition did the first responders decide to evacuate the building after they got there. Firefighters later found high levels of the gas in the house. 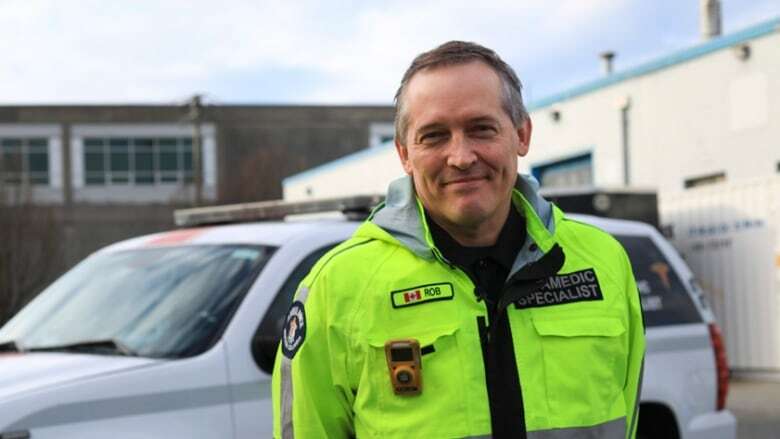 "Very lucky, very lucky," said MacMillan, who also teaches hazmat and occupational health with BCEHS and wears a neon green specialist's jacket over his uniform. Carbon monoxide is found in the fumes produced by burning fuel. Breathing in too much of the gas can kill a person in minutes, as it replaces oxygen in the blood. "It does kill and it kills well," MacMillan said. 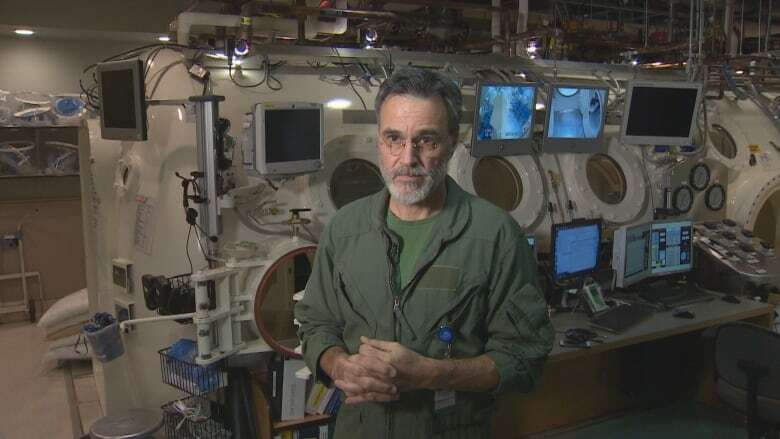 Dr. Bruce Campana, the hyperbaric physician at VGH, said he's seen cases of first responders dying as a result of poisonous gases on calls — carbon monoxide and otherwise. "It's fortunately rare, but when it happens it's devastating," he said, adding: "It's far less common now because they have detectors like this. "I think this is an extremely important thing that the paramedics have done." It's not mandatory for firefighters in B.C. to wear similar detectors, nor is it mandatory for people provincewide to have detectors in their homes. MacMillan said the monitors are critical for everyone. "Just like everybody else says: make sure you have a carbon monoxide detector that works in your house," he said.